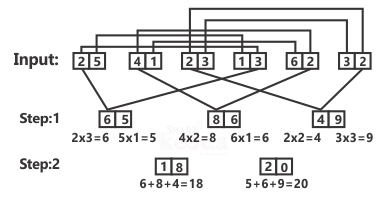 The first step has been obtained by multiplying the digits in input. 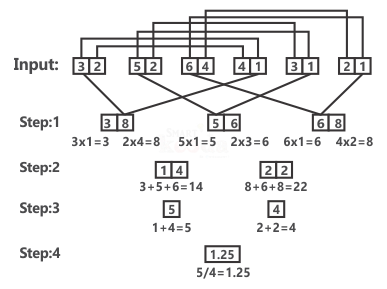 No other step uses multiplication concept. They are obtained by applying certain logic. Numbers of step II have been obtained by using at least 1 digit of each number in step 1. Each step is a resultant of previous step. What is the difference between the numbers of Step II? 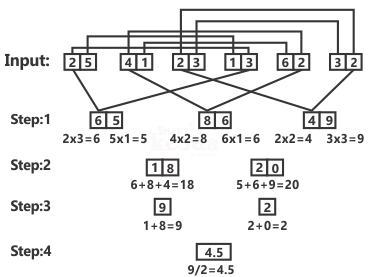 Difference between the numbers of Step II is 8. Option D, is hence the correct answer. Which of the following will be the double of Last step? 2.5 is the double of Last step. What is the sum of largest and the smallest number of step I? 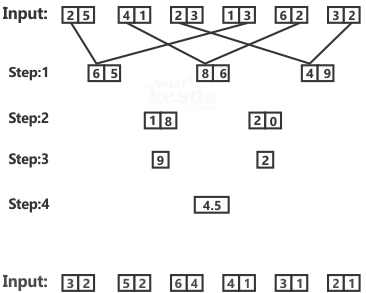 106 is the sum of largest and the smallest number of step I. If the difference of the number of step III is multiplied by step IV, what will be the resultant number? 1.25 is the resultant number. 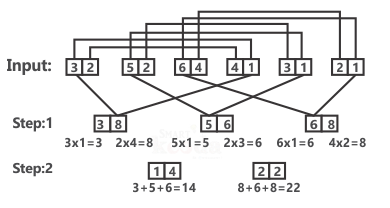 Which of the following is one of the numbers of any step? 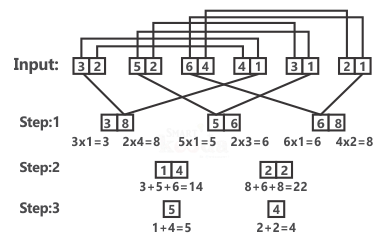 22 is one of the numbers of any step.